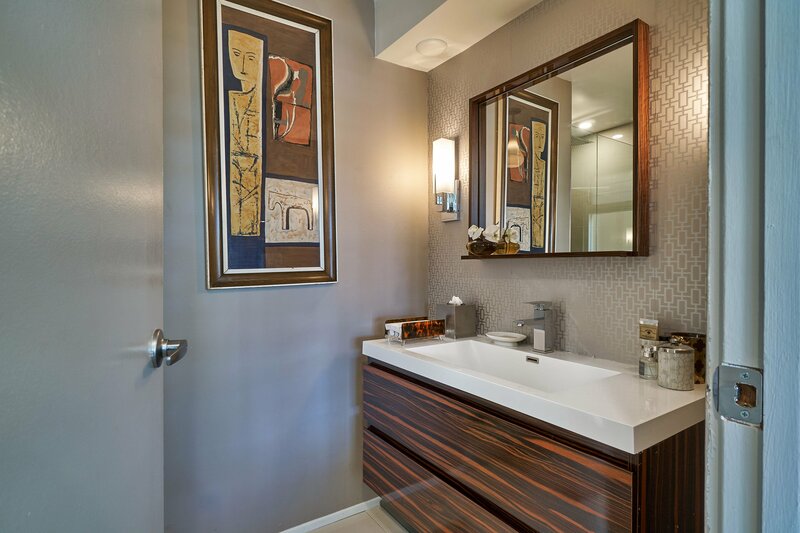 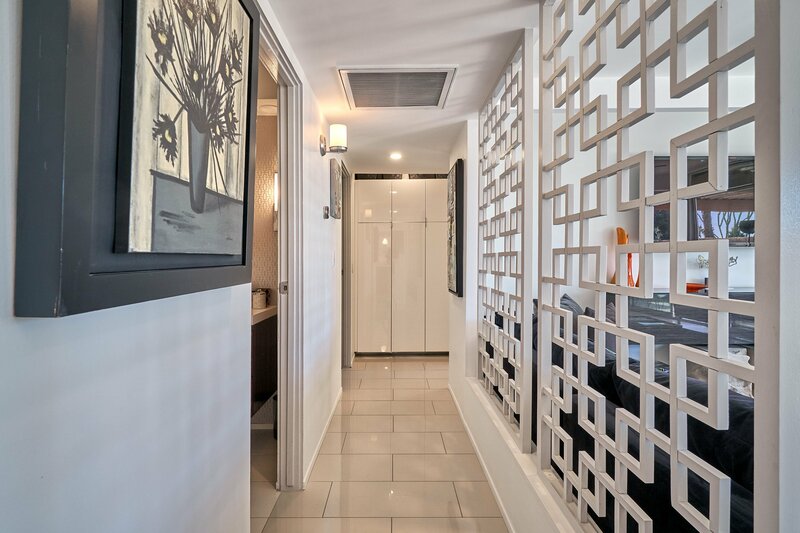 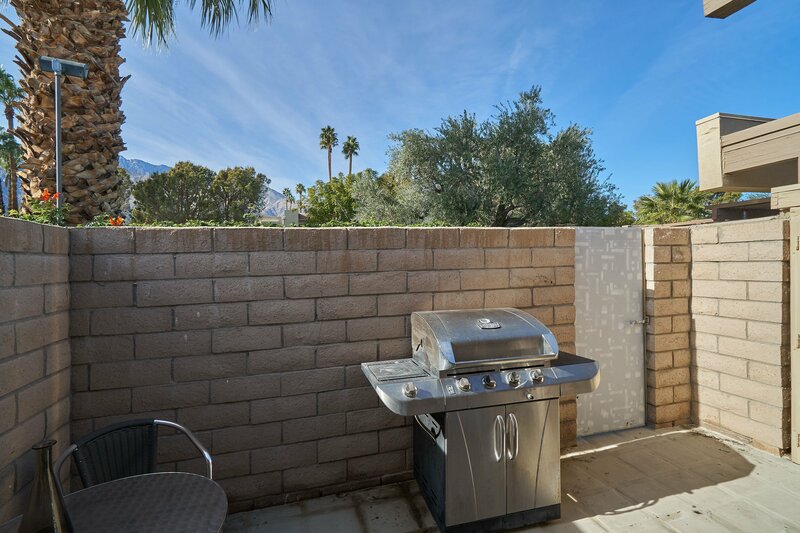 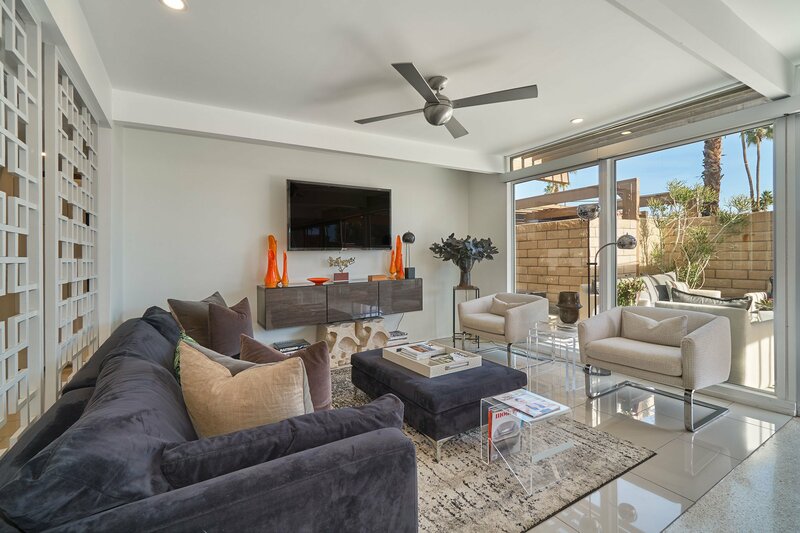 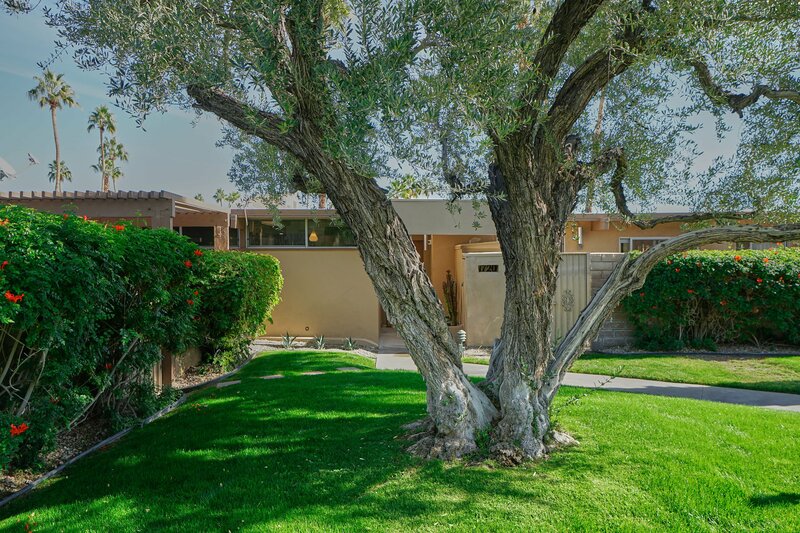 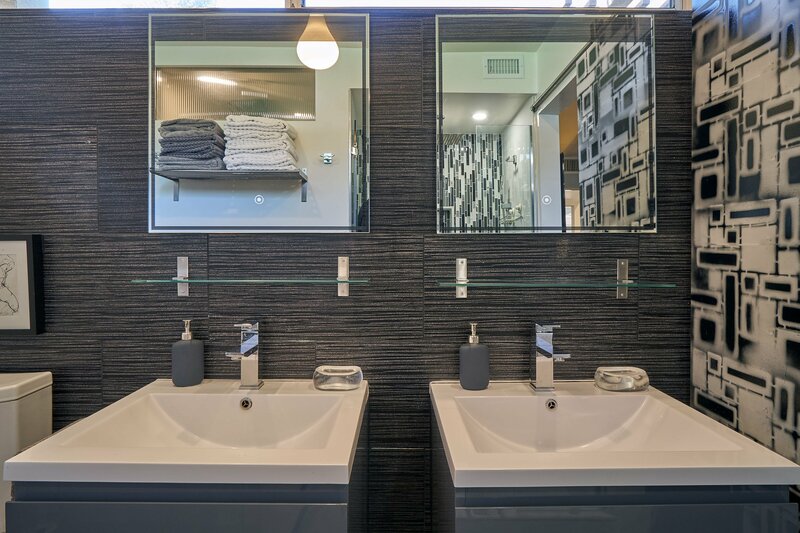 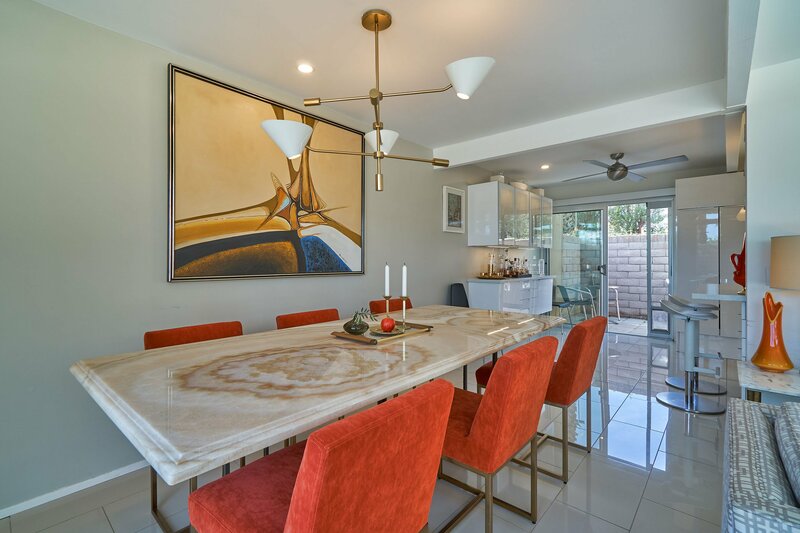 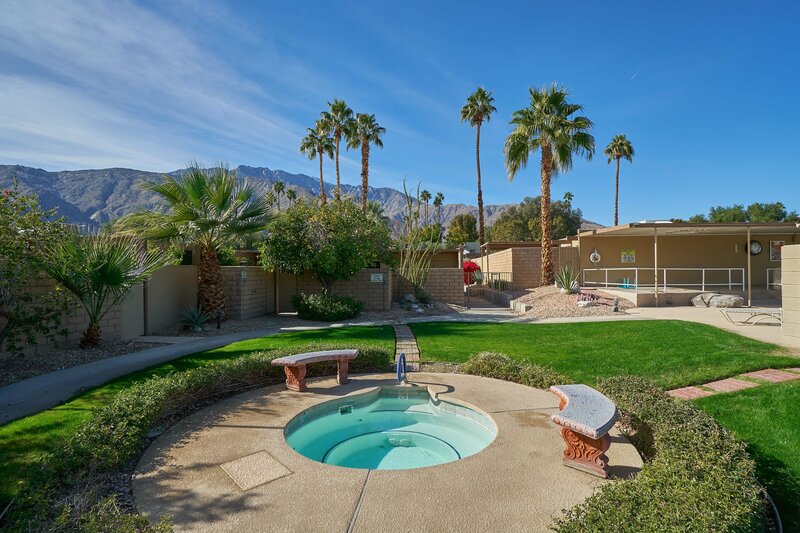 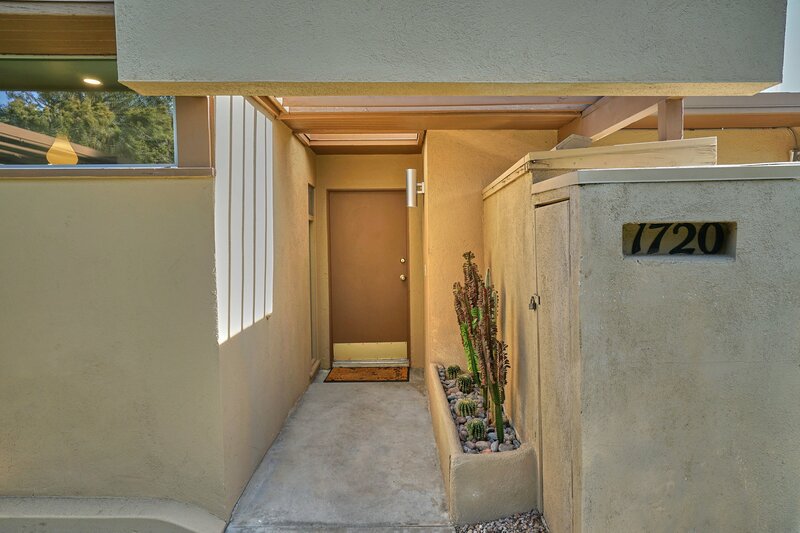 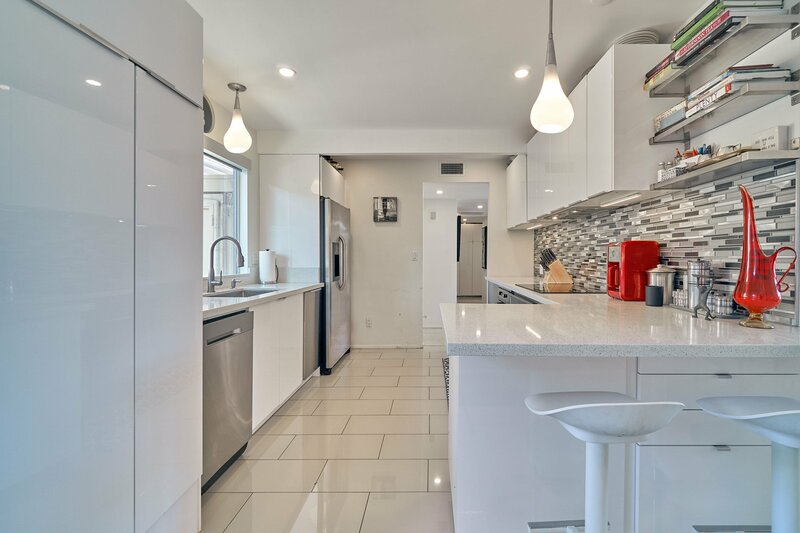 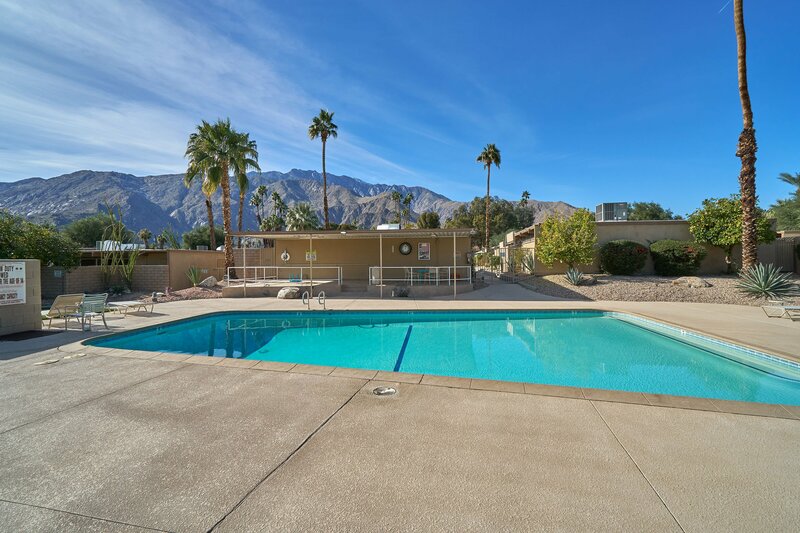 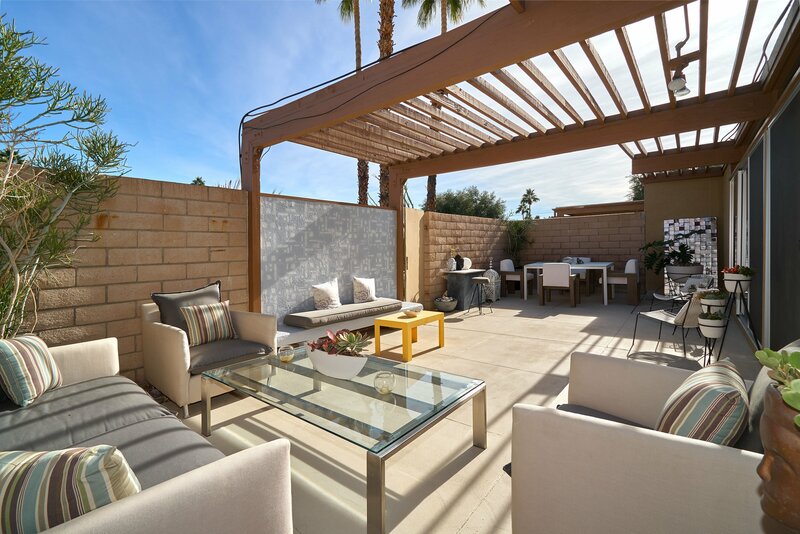 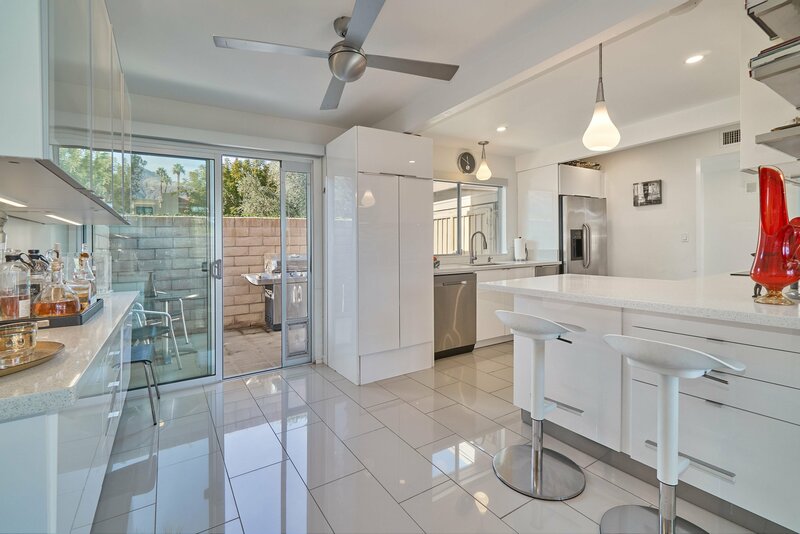 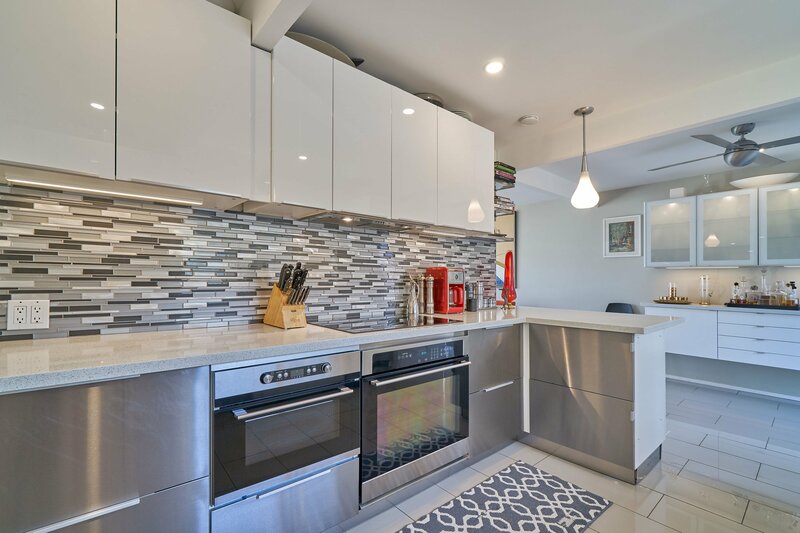 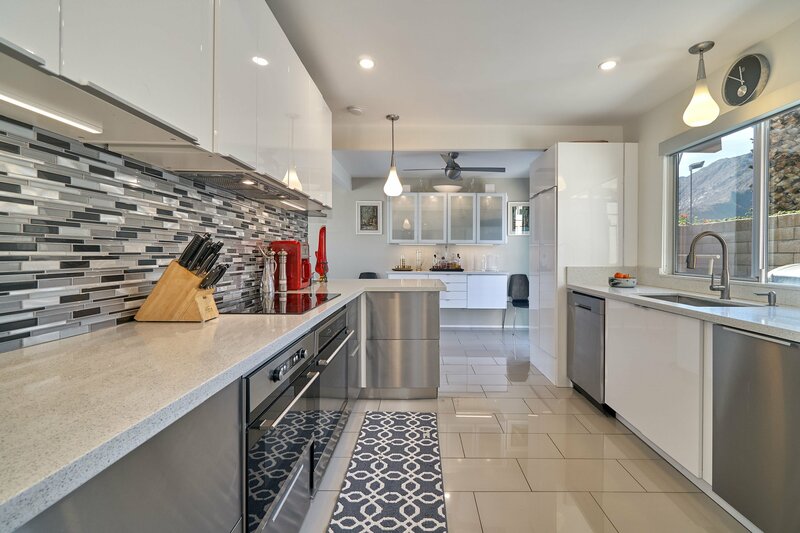 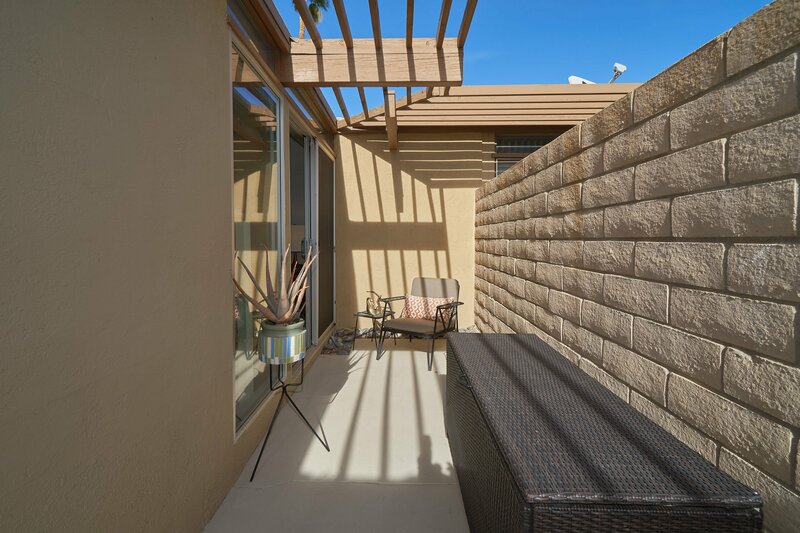 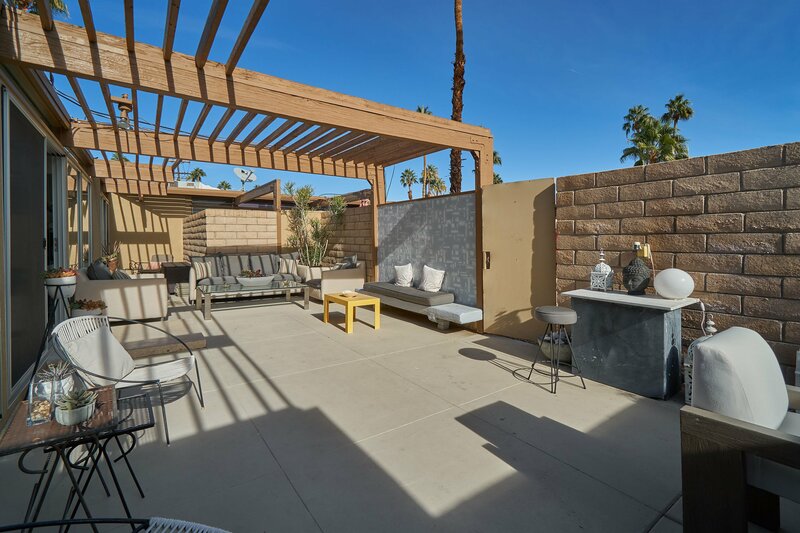 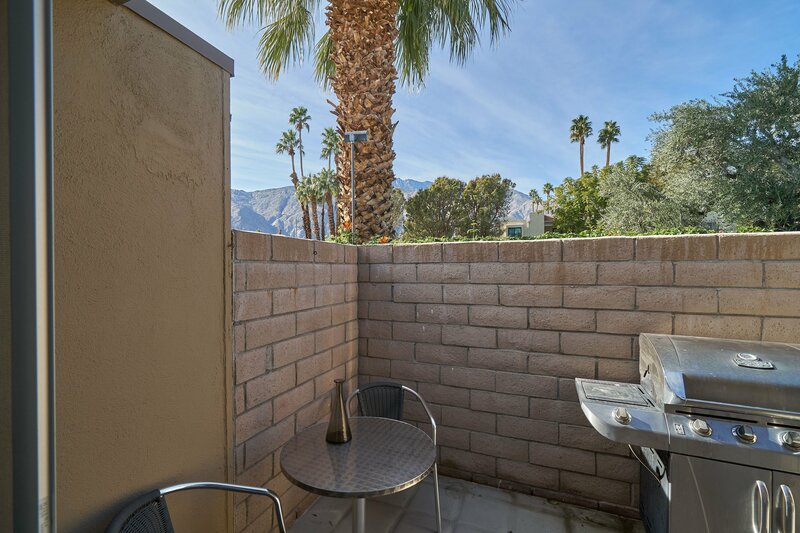 Renovated and highly upgraded condo in Palm Spring’s historic Park Imperial North that offers a rich and traditional Mid- Century modern look. 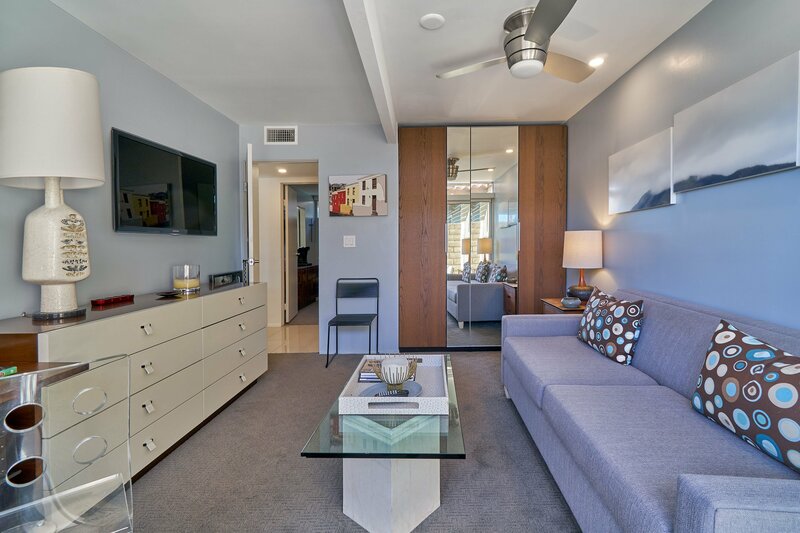 These condominiums were designed by famous architect Berry Berkus and developed by Jack Meiselman. 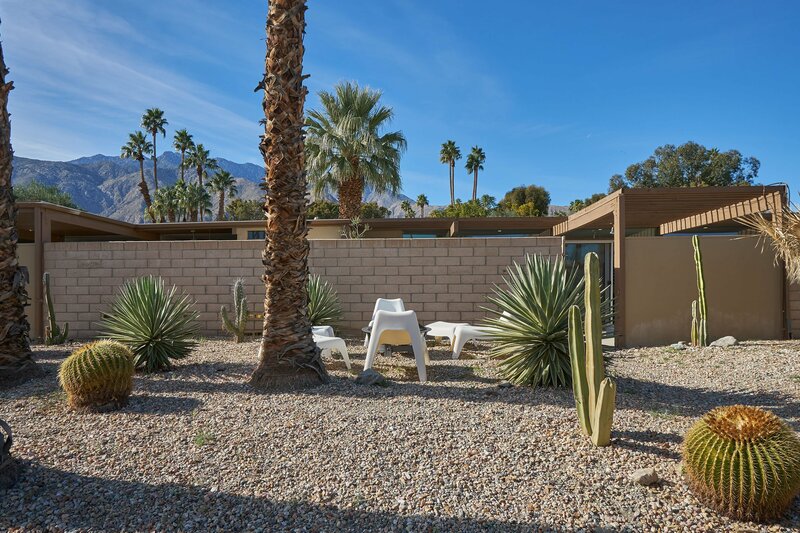 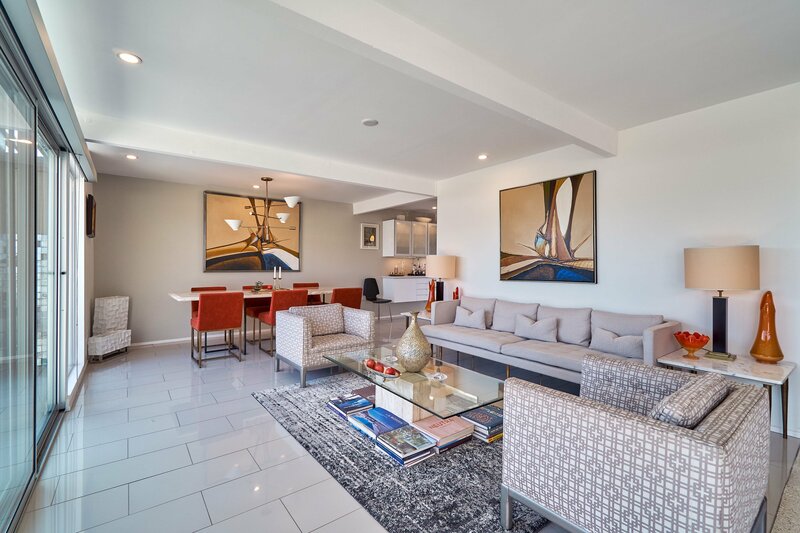 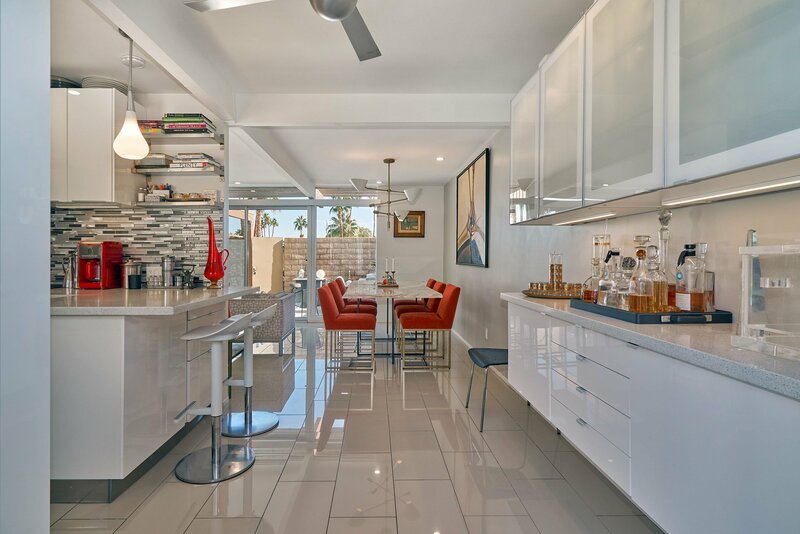 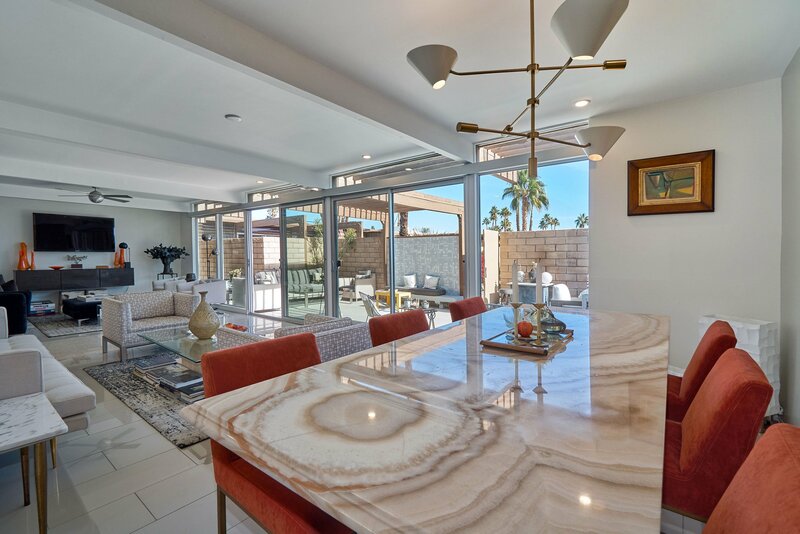 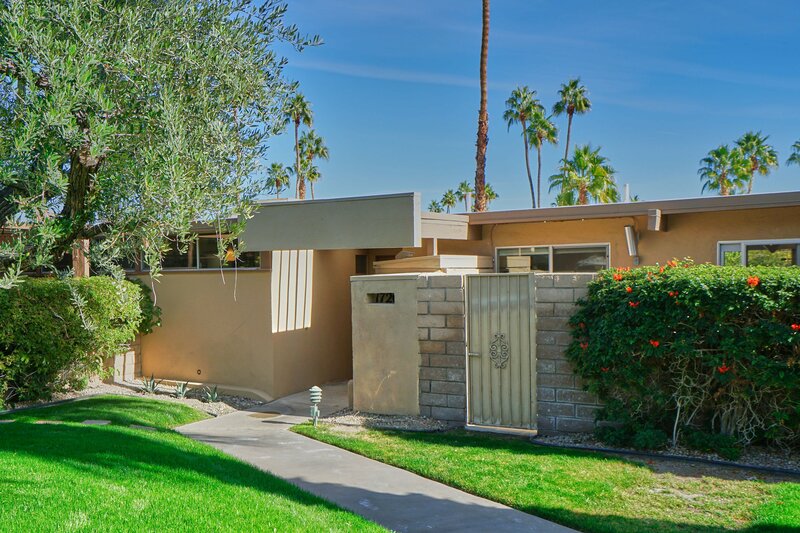 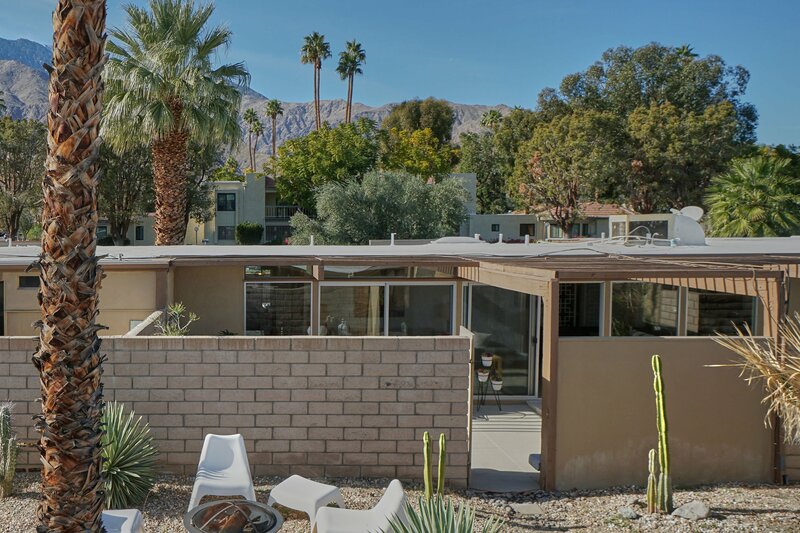 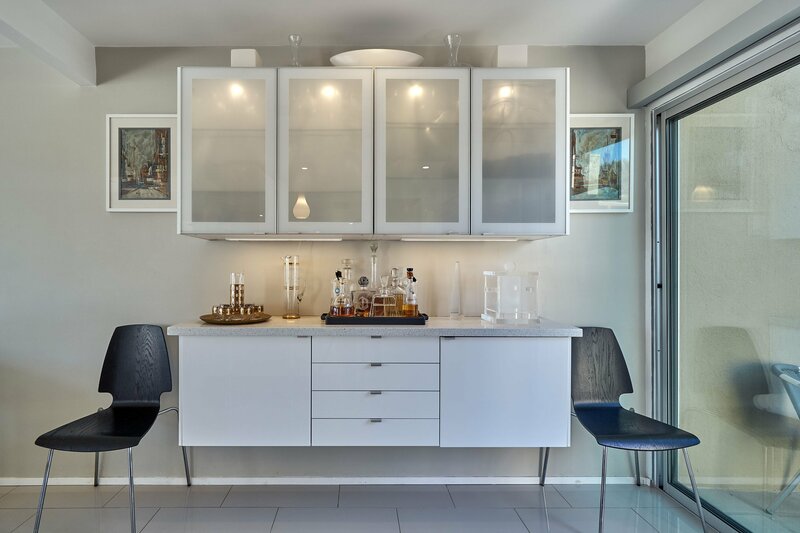 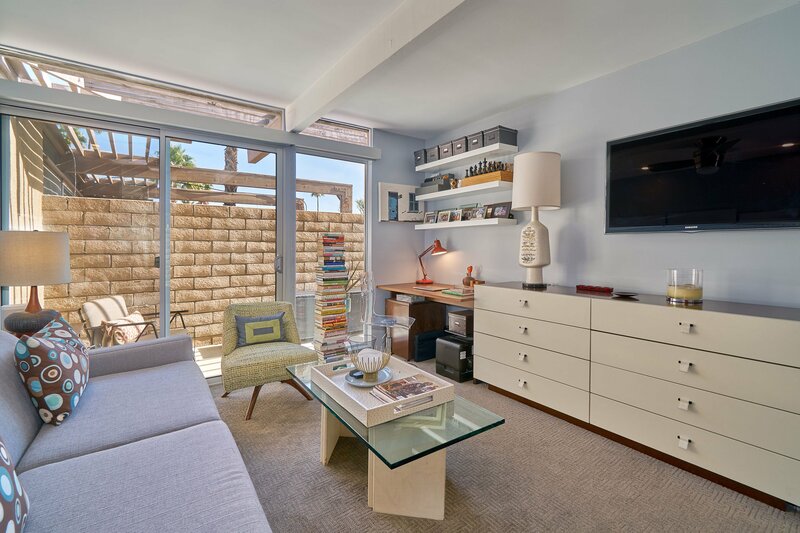 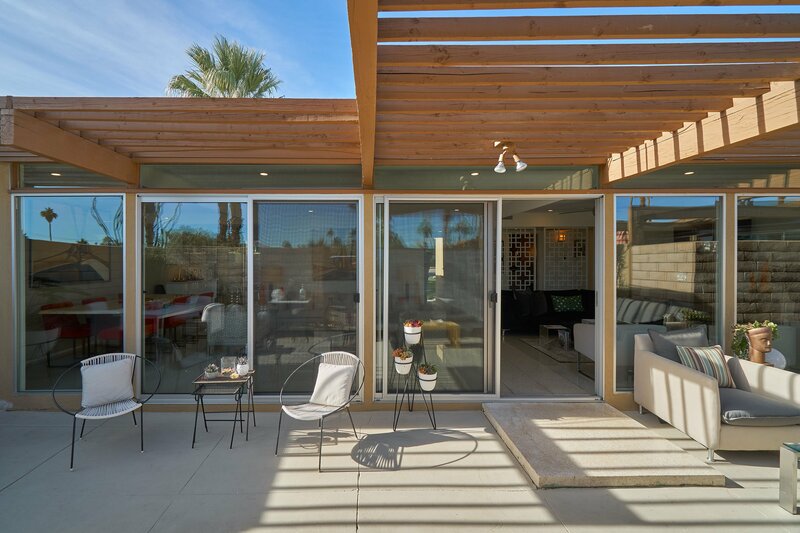 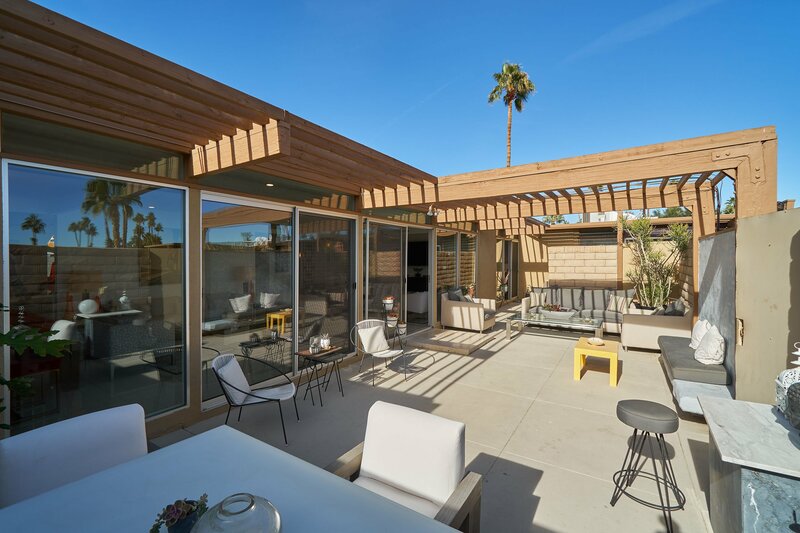 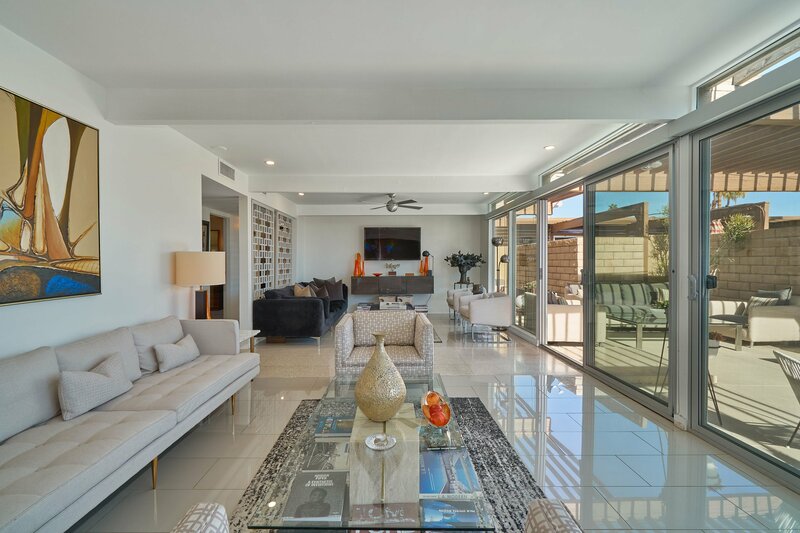 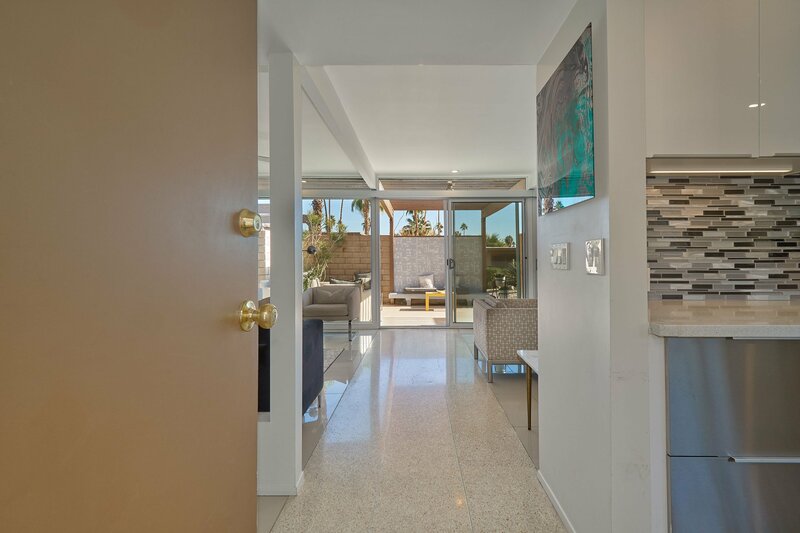 This stunning 2-bedroom 2-bath condo embodies the Palm Spring’s trademark Mid Century Modern with its high ceilings and walls of glass. 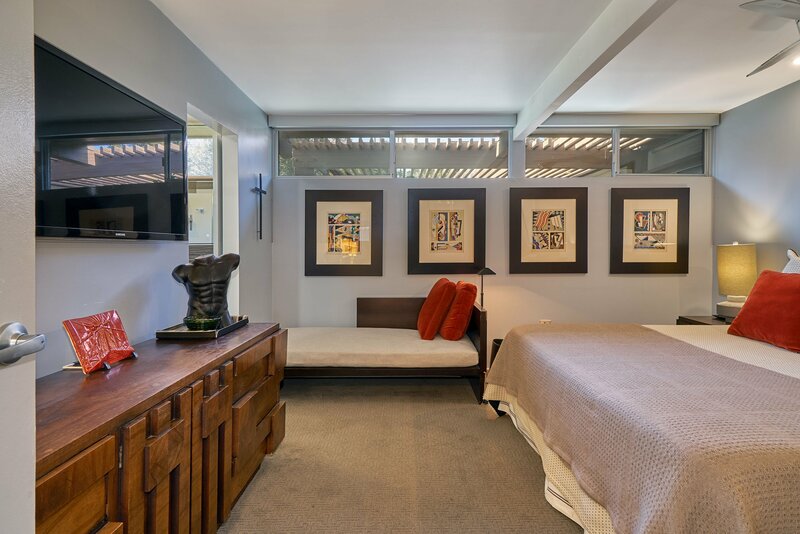 The 3rdoriginal bedroom was opened to the living area to create an open floor plan, walls of glass along with the clerestory windows. 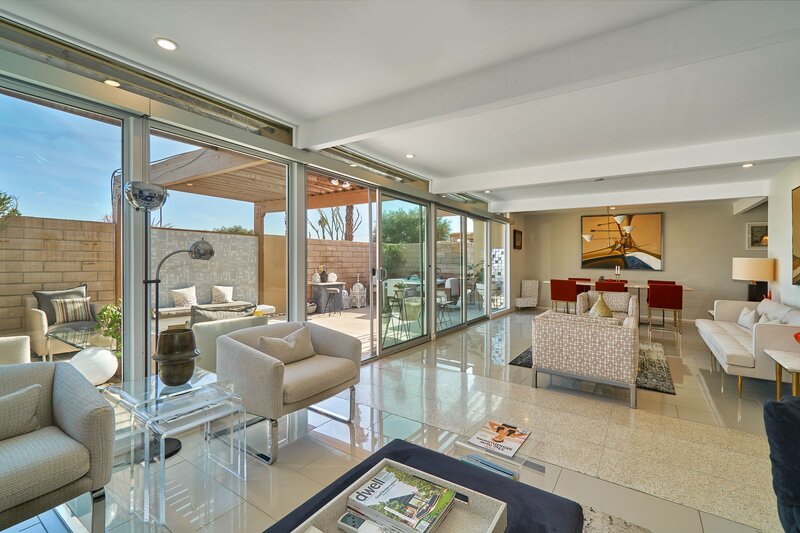 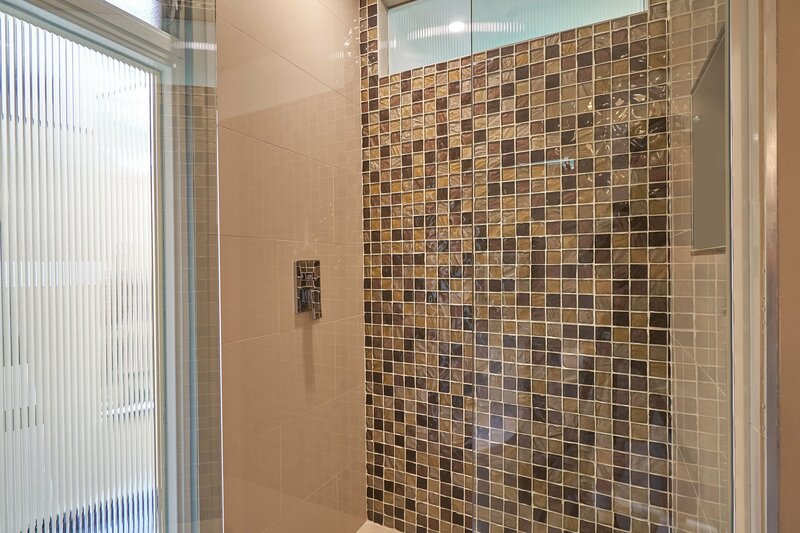 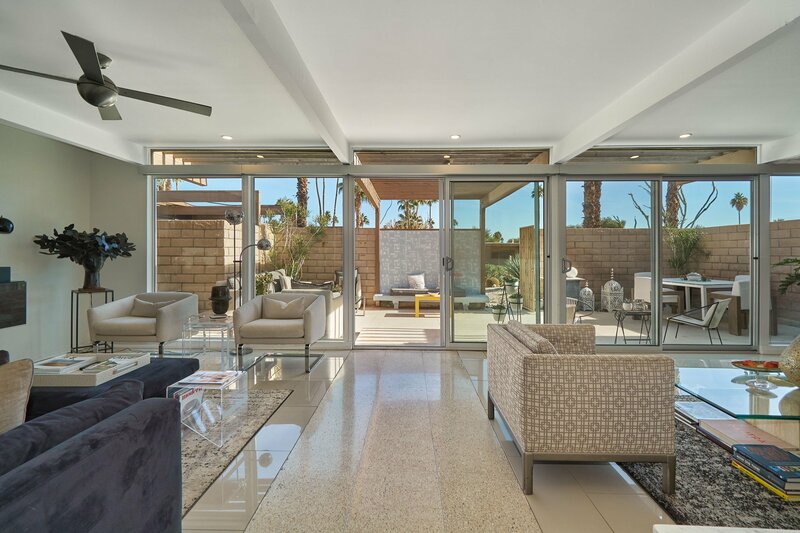 Polished Italian porcelain tile flow throughout the home with the original terrazzo flooring dividing the living room and continues out to the amazingly large private walled in outdoor patio. 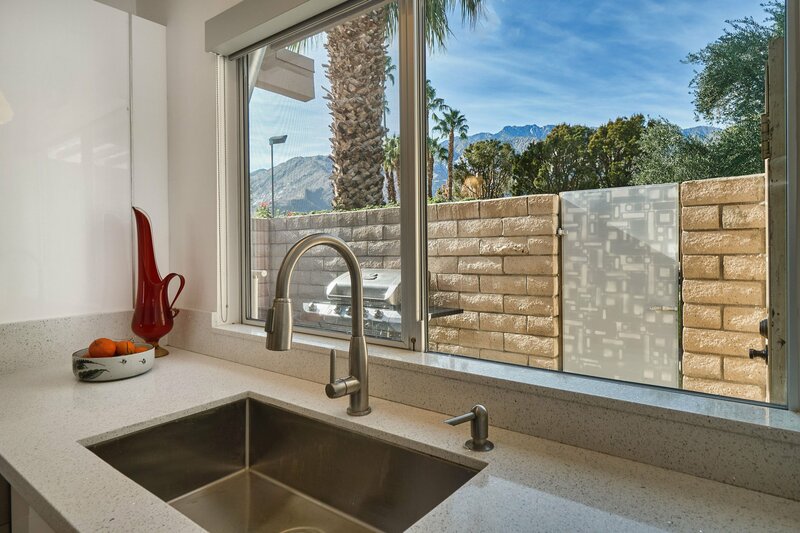 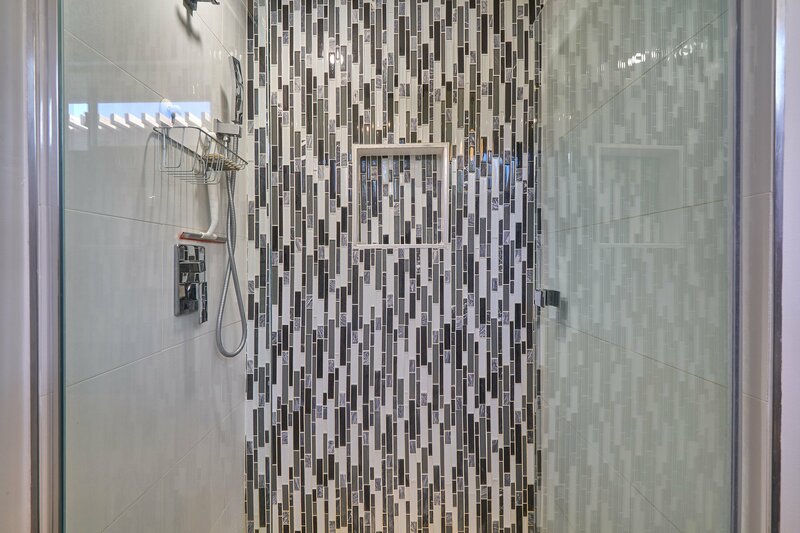 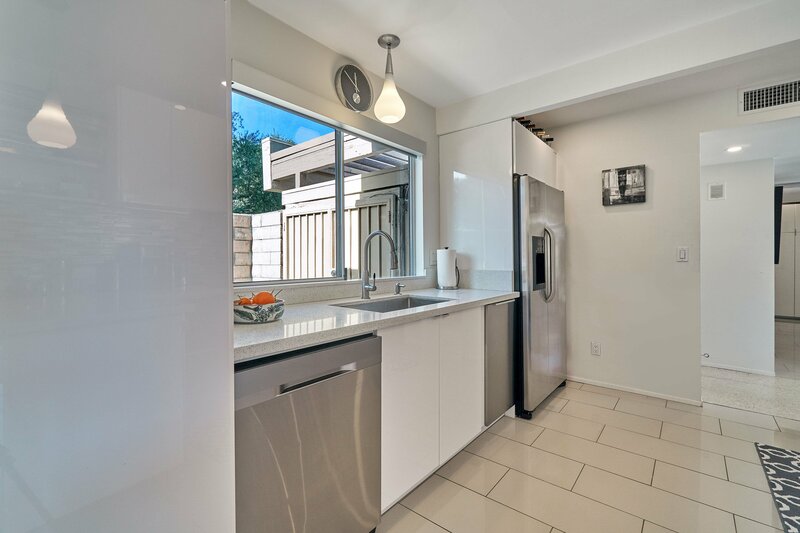 The kitchen boasts Caesar stone countertops, glass tile accents, electric cook-top, and stainless steel appliances. 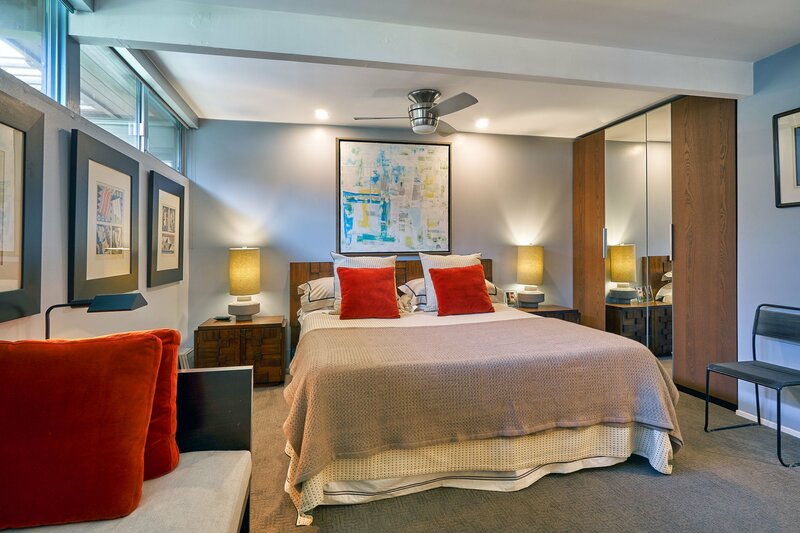 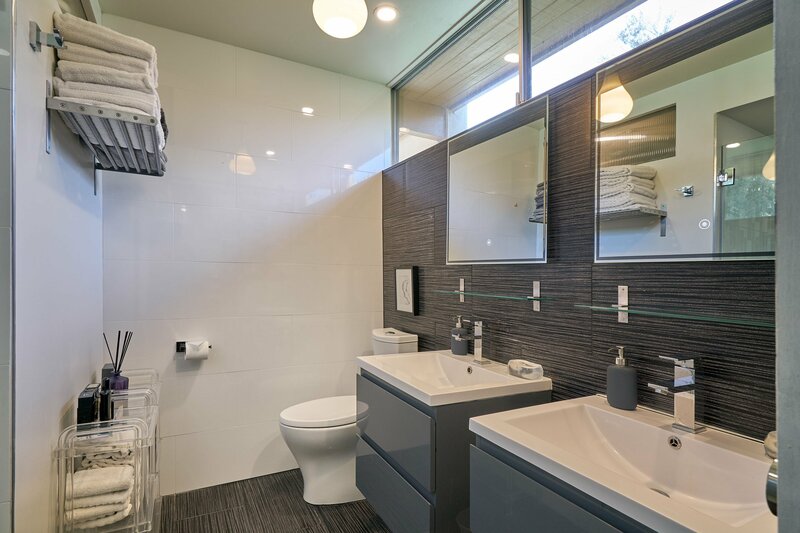 The Master Suite features clerestory windows allowing you to capitalize on the 300 days of the sunny skies a year. 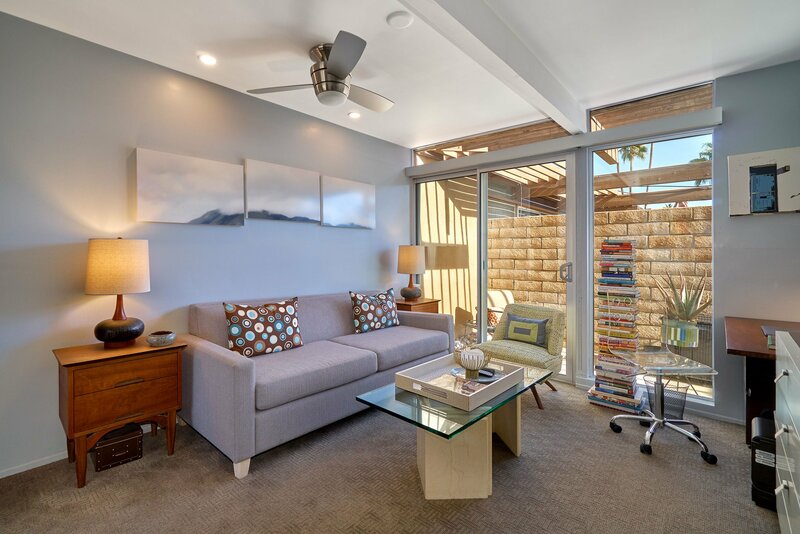 Additional improvements include custom built-in closets and all new dual paned windows.